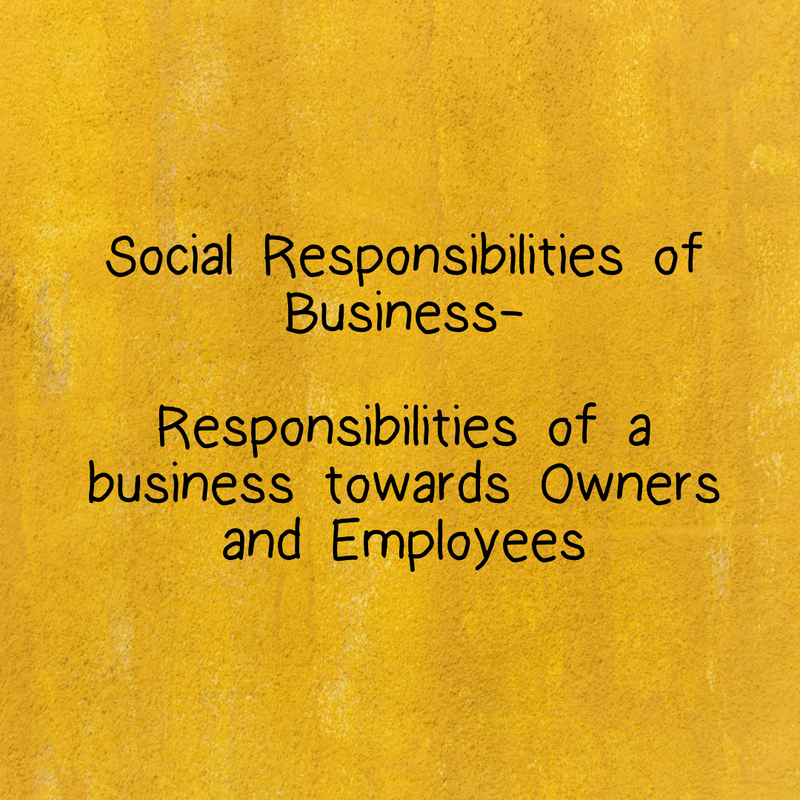 A business comes into existence and grows with the support of society. 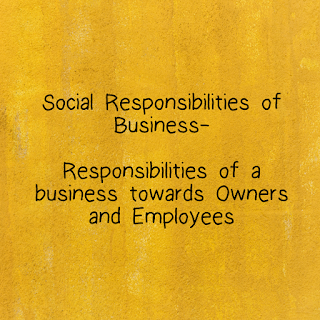 Being a part of society, every business has certain responsibilities towards all the stakeholders. 2. Finding New Business Opportunities- Every company should keep on finding new business opportunities. If it finds any good business opportunity, it should try to make use of that opportunity. 3. Expansion and diversification- Every company should keep growing its business through expansion or by diversification to new business opportunities. 5. Regular updates- It’s the responsibility of every company to give periodic information to the owners about the business. The information provided should be accurate and complete in all respects. 6. Fair Practices on stock exchanges- Any company should not involve itself in any unfair practices related to stock exchange like providing misleading information to the stock exchanges or trying to make profits from secret information about the business. 5. Safety Measures– All health and safety measures must be in place for employees. Offices/Factories/Warehouses should have proper sanitation. Safety Equipments like helmets, gloves, etc. must be provided wherever it's necessary. 6. Career Growth– It's important that the business provides growth opportunities to the employees Performance appraisals must be done from time to time. Promotion should be given to all the deserving employees.